Rich in wildlife, Southeast Asia includes at least six of the world’s 25 “biodiversity hotspots”—the areas of the world that contain an exceptional concentration of species, and are exceptionally endangered. The region contains 20 percent of the planet’s vertebrate and plant species and the world’s third-largest tropical forest. In addition to this existing biodiversity, the region has an extraordinary rate of species discovery, with more than 2,216 new species described between 1997 and 2014 alone. Global comparisons are difficult but it seems the Mekong region has a higher rate of species discovery than other parts of the tropics, with hundreds of new species described annually. Southeast Asia’s biodiversity is under serious threat; some parts of the region are projected to lose up to 98 percent of their remaining forests in the next nine years. It’s also thought to be the world’s most threatened region for mammals. Sadly, the region’s fragile biodiversity is frequently forgotten by the global media. It also suffers lower publishing rates than other tropical regions for ecology and biodiversity research. It’s perhaps no surprise, then, that Southeast Asia has some of the highest rates of deforestation on the planet, having lost 14.5 percent of forests in the last 15 years. Some areas, such as Philippines, have lost up to 89 percent of their original forest cover. This loss is rendered especially stark using recent advances in satellite imagery, such as Google Earth timelapse, which shows that many regions have been transformed from pristine forest to agriculture within the last decade or two. 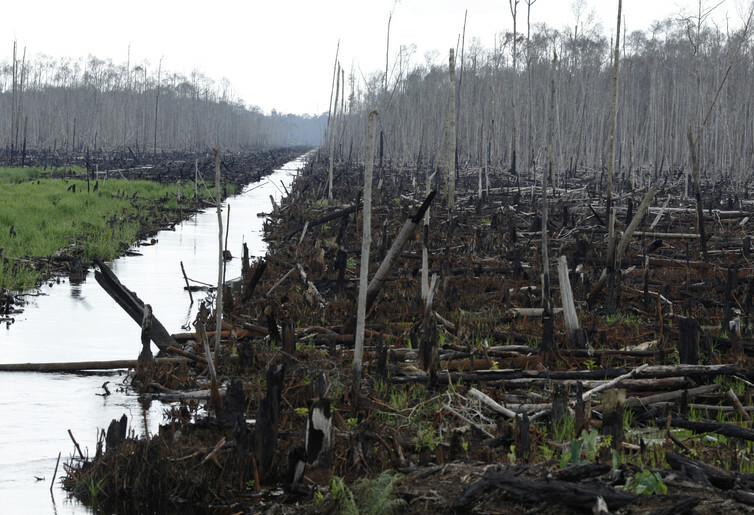 Forest loss is one of the major drivers of species loss in the region, and pulp-paper, rubber and oil palm production are the main drivers of forest clearance. Southeast Asia exports 86 percent of the world’s palm oil and 87 percent of the world’s natural rubber. The areas where these grow are projected to expand by over 4.3 to 8.5 million hectares (10.6 to 21 million acres) to meet demand by 2024. Most new plantations come directly from rainforest clearance, and companies investing in Southeast Asia are ranked as the least sustainable globally. The recently created Forest & Finance initiative has reported that investment in “high deforestation risk” sectors in Southeast Asia was more than US$38.76 billion between 2010 and 2015. Avoiding these products is practically impossible. At 61.1 million tonnes (67.4 million tons), palm oil was the most consumed oil globally in 2015, and this figure is rising. Certification aiming to prevent further deforestation and guarantee the sustainability of certified palm oil has also proven difficult, and failed to halt deforestation. The two initiatives for certification of sustainable palm-oil production and natural rubber-the Roundtable on Sustainable Palm Oil and “green rubber initiatives”—have failed to fulfill their commitments to protect natural habitats. New plantations have continued to drive destruction of natural rainforests, and the species dependent upon these ecosystems for survival. In some cases, the initiatives have ended up using “perverse incentives” which actually encourage deforestation. These include subsidies that facilitate forest clearance by funding conversion of forest to crops, or free provision of rubber seeds to replace natural forests. Deforestation is not the only driver of habitat loss in the region; Southeast Asia also has more dams planned than any other part of the planet. Though often looked at as “green power”, dams lead to a loss of biodiversity and undermine rural economies through the loss of livelihoods. 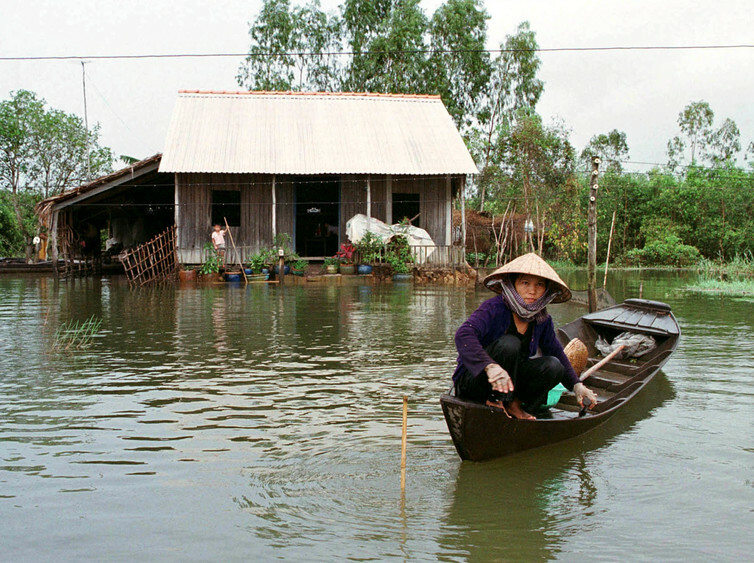 There are currently 78 dams planned for the Mekong Delta. If built, they are projected to reduce the number of migratory fish by 20 percent to 70 percent in the Mekong, in addition to flooding essential habitats and causing regional droughts. The Mekong has the highest freshwater diversity in the world, and the potential extinction of so many species represents a global catastrophe. Fisheries on the Mekong are also projected to feed more than 65 million people. Declines in fish stocks will have direct implications for incomes and diets across the region. The drainage of Asia’s wetlands presents a further set of dangers, particularly due to their importance to more than 50 million migratory wading birds that depend on them for migration and breeding. Around 80 percent of Southeast Asian wetlands are threatened by conversion to agricultural land or development by drainage. Up to 45 percent of intertidal wetlands have already been lost. This has so far caused population reductions of up to 79 percent in some wading species. Mining is another often overlooked issue that poses a significant threat to biodiversity, especially to karsts (limestone outcrops and caves), which cover around 800,000 square kilometers of Southeast Asia. Each of these ecosystems are known to harbor more than 10 species not found anywhere else on the planet. But most of these sites have never been surveyed, and up to 90 percent of cave species in China are estimated to be scientifically undescribed. Similar rates of unclassification are likely to exist for the rest of the region. These karst ecosystems are under serious threat. Cement comes directly from karst ecosystems, and between 2011 and 2013 alone, China used more cement (6.6 gigatonnes, or 7.3 billion tons) than the US has in recorded history. 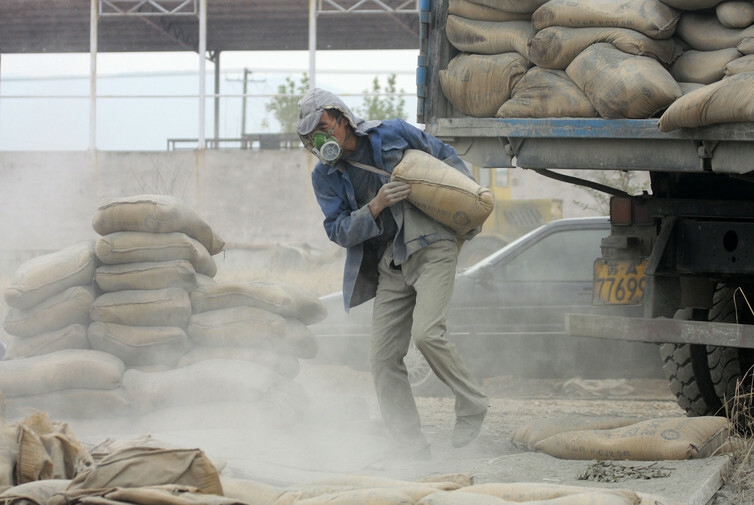 China’s approximate annual usage of 1.5 tonnes (1.7 tons) per capita amounts to over 60 percent of the global cement demand annually. As karsts are under-represented in protected areas – and given the majority of karst-dwelling species are limited to a single site – there is no way of knowing how many species go extinct annually as a consequence. Another threat to the region’s biodiversity is the illegal wildlife trade. Worth approximately US$20 billion annually, it’s the fourth-biggest illegal trade in the world. In Southeast Asia, hunting represents the greatest threat to the future survival of many species, with few native mammals of over 2 kilograms surviving outside protected areas. Hunting represents a threat to all species, with high-value species sought and traded by criminal cartels and smaller species traded for medicine, food, or sport. Trade in wildlife in Asia can be grouped into three main types: for medicinal purposes, for status (either in wildlife restaurants or as ornaments) or for the pet, zoo and aquarium trades (principally birds, reptiles and amphibians). 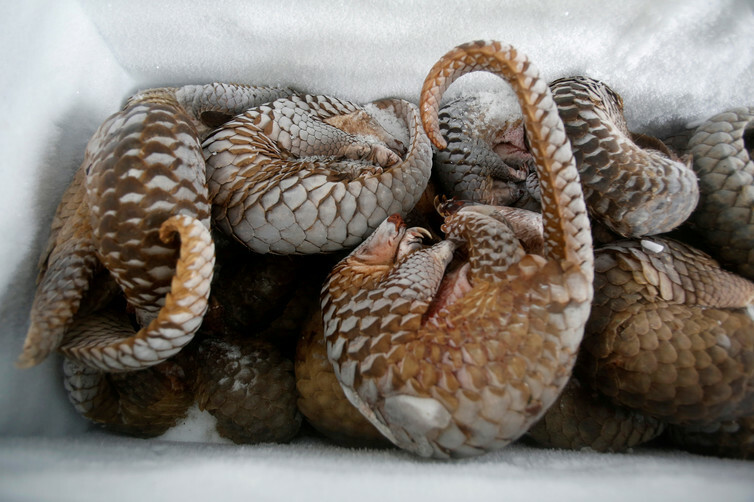 Traditional medicine in Vietnam and China represents a threat to a huge array of species, but most notably the pangolin, which is the most trafficked animal on the planet. Sadly, the use of endangered species in medicine shows little sign of abating. Whereas celebrities have campaigned for species that are targeted for status and ornamentation, such as elephant ivory, many other animals and plants have failed to get the attention needed to prevent over-exploitation. And a number are now facing extinction. The pet and zoo trade in wildlife, especially for reptiles, amphibians and birds, have recently received attention, as many species formerly thought to be captive-bred are now known to be wild-caught. They have suffered serious population declines as a result of exploitation for trade. The unique biodiversity of Southeast Asia is under threat because of some of the world’s highest rates of habitat loss, as well as direct over-exploitation of species. Even when forests remain intact, they are being steadily emptied of their biodiversity through hunting. Though dedicated researchers and conservationists are working to prevent these issues, Southeast Asia will see the extinction of many endemic species in the coming decades. The question of how many will remain depends on the success of conservation and sustainability interventions. Alice Catherine Hughes is Associate Professor in Landscape Ecology & Conservation, Chinese Academy of Sciences. This article was originally published in The Conversation and is republished by kind agreement.